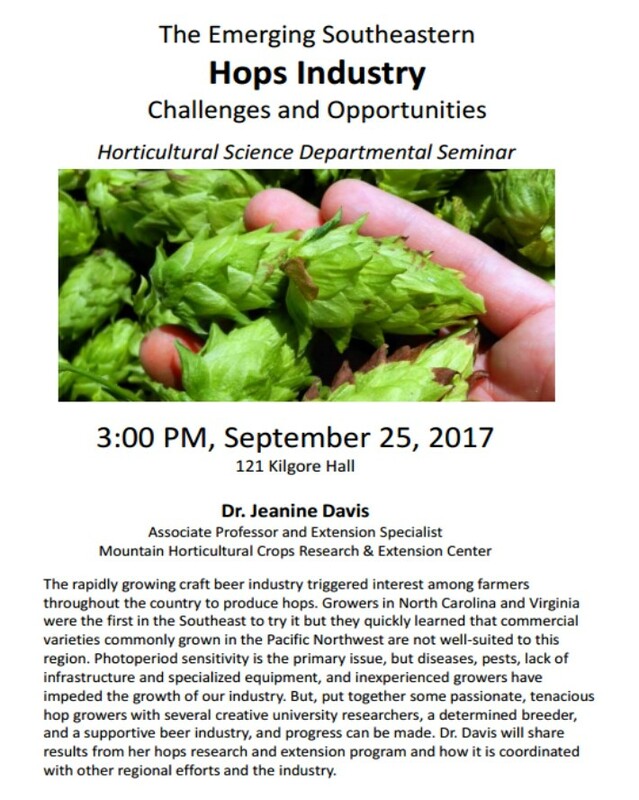 I will be giving a seminar on the North Carolina State University main campus in Raleigh on the Southeastern Hops Industry and the research and extension efforts we have to support it. This is a fascinating plant we are producing and a fun industry to work with. The seminar will take place in the Department of Horticultural Science. Hope to see you there!